Public transportation in Hong Kong is very efficient. Getting to HKUST from the Hong Kong International Airport by bus, MTR metro, or taxi, is as accessible as it is to go by car. You may take the Airport Bus A22 to Lam Tin and then take a taxi to HKUST. The total traveling time is approximately 90 minutes with a total charge of HKD 120. Or you may take the Airport Bus A29 to Po Lam and then take a taxi to HKUST. The total traveling time is approximately 80 minutes with a total charge of HKD 100. Please visit the bus company website for the most updated information: http://www.nwstbus.com.hk/. You may take the Mass Transit Railway (MTR) from the Airport by Airport Express, and then interchange at Tsing Yi station, Lai King station and Prince Edward station to reach Choi Hung station along Kwun Tong Line. 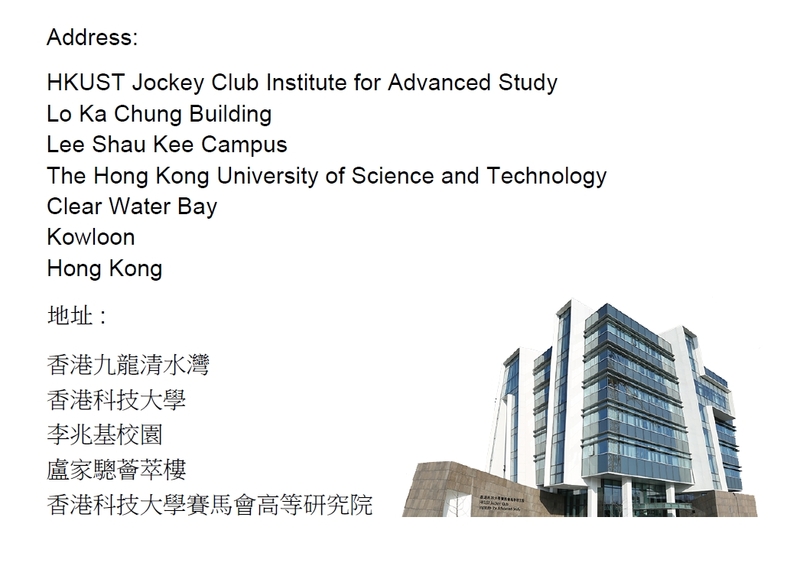 The Choi Hung MTR station is one of the closest ones to the University, and you can board a bus or taxi (details below) to the main entrance of HKUST. The total traveling time is approximately 90 minutes with a total charge of HKD 80. A system map is available on MTR website: http://www.mtr.com.hk/en/customer/services/system_map.html. Taxis are easily available from the airport. You may expect to pay approximately HKD 300-380 for the journey. Note that only HK dollars will be accepted by your driver. The taxi drop-off point on campus is near the red sundial at the North Entrance. For heading to IAS, you may use the map of driving route to IAS (download here) to give the taxi driver directions. For on-campus housing destinations, please ask the security guard at the main gate for directions. 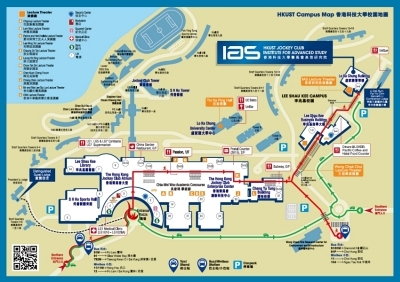 Upon request, taxi pick-up service can be arranged for you from the airport to the HKUST campus. A taxi driver will greet you at the designated arrival hall of your flight at the Hong Kong International Airport. Should you need pick-up service, please inform us at least three working days before your arrival. This service is subject to availability. Taxis provide the simplest way to get to the University, and are easily available at any MTR station, from hotels and most areas of Hong Kong. The taxi drop-off point on campus is near the red sundial at the North Entrance. For heading to IAS, you may use the map of driving route to IAS (download here) to give the taxi driver directions. For on-campus housing destinations, please ask the security guard at the main gate for directions.